The Vapor Zone is back! Similar Balls: Same Hook Potential, Lane Conditions & Coverstock as the Brunswick Vintage Vapor Zone. Vapor Zone... the legend, the superior, the great one! Even though this is a Vintage edition, this one is just as great as the latest version. This ball moves and performs and hits HARD, just as the legendary release from years past. You will want to use this ball in league most often and is very... very smooth downlane and when it touches the dry spot downlane, it makes a violent sideways snap through the pocket. 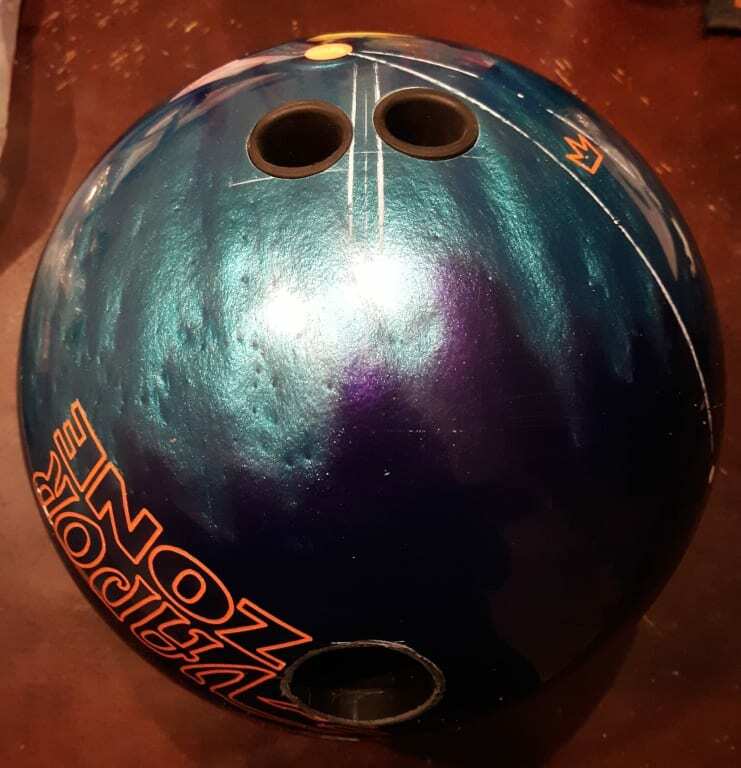 This is just as I remember it from back in the early releases and I am a very happy bowler using this ball again for leagues and tournaments. You will be also! If you have never used a Brunswick ball, you will be hooked on this ball release (pun most definitely intended)! One of the BEST Brunswick Balls is BACK! The Vintage Vapor Zone is the newest release in Brunswick's Vintage line. 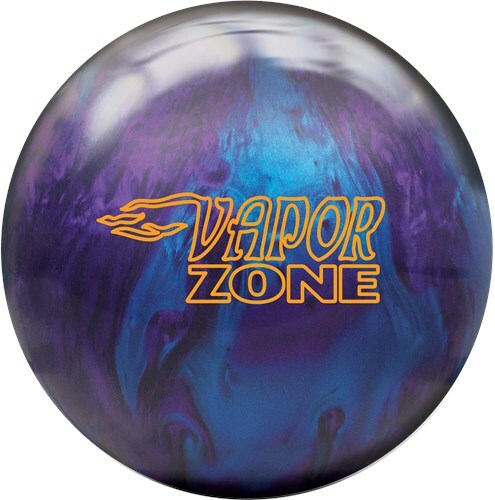 With an updated cover (Activator Plus 2.0) around the time-tested Zone asymmetrical core with DynamiCore this ball is a great throwback to the original Vapor Zone that was so popular years ago. The Vintage Vapor Zone is a blast from the past with some upgraded technology. It takes that asymmetric Danger Zone core shape everyone loved and pairs it with an updated cover for today's lane conditions. It has been awhile since I have thrown the original Vapor but the first thing I noticed with this ball is how long it goes. The Vintage Vapor Zone gets great length for an asymmetrical ball. With the layout I chose it allows me to play closer to the dry on some of the fresher conditions. This ball will allow you to use the more powerful core in situations where you would normally need a lower flaring symmetrical ball. I can also see myself drilling another Vapor with a quicker response layout for playing deeper inside and covering more boards. With the correct surface prep this ball will get enough length to play wherever there is some friction. As far as total hook goes, I have this one right on top of my Vintage Inferno with more length and recovery down the lane. If you loved the Original Vapor Zone you will like this one. Be sure to check out the improved length and recovery of the new Vintage Vapor Zone. The Vintage Vapor Zone has always been one of brunswick's biggest sellers from the "good old days". The problem with the good old days is that the amount and types of oil have changed so much that you can never recapture that ball motion years later. That is, until today. Drilled at 70 x 3 3/4" x 20, the Vapor Zone we received was a skid / flip machine. It has been a while since we've seen something THIS clean that still slows down and hooks on a dime down lane. 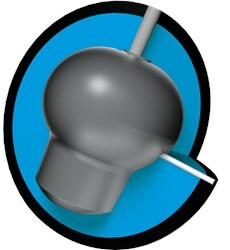 Add in that DYNAMICORE and you have a ball that moves and hits like the old Vapor, but with SO MUCH MORE performance. If you loved the Vapor zone, or want a ball that is going to corner, this "old ball" has some incredible new tricks. Wow this ball is great. I get very easy length with a strong angular back end motion. When moving in the ball is still able to make the turn with enough energy to carry the corner pins. Overall it has been a very versatile ball for multiple lines to the pocket. The Creed Rebellion will break way sooner than the Vintage Vapor Zone. The Rebellion would be more aggressive. Due to the time it takes to produce the Brunswick Vintage Vapor Zone ball it will ship in immediately. We cannot ship this ball outside the United States.